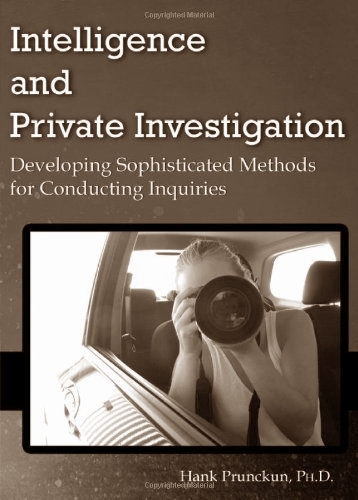 This morning's other nice surprise was receiving my recently ordered copy of "Intelligence and Private Investigation: Developing Sophisticated Methods for Conducting Enquiries" edited by Hank Prunkun, PhD. Anyway, I'll get around to doing a review of my own as soon as I've had a chance to thoroughly read it. In the meantime, you can sneak a view of what's inside over at Amazon. Having said that, I think I still owe you another review.